So you’ve finished writing your book, and you think it’s ready to publish. Congratulations! 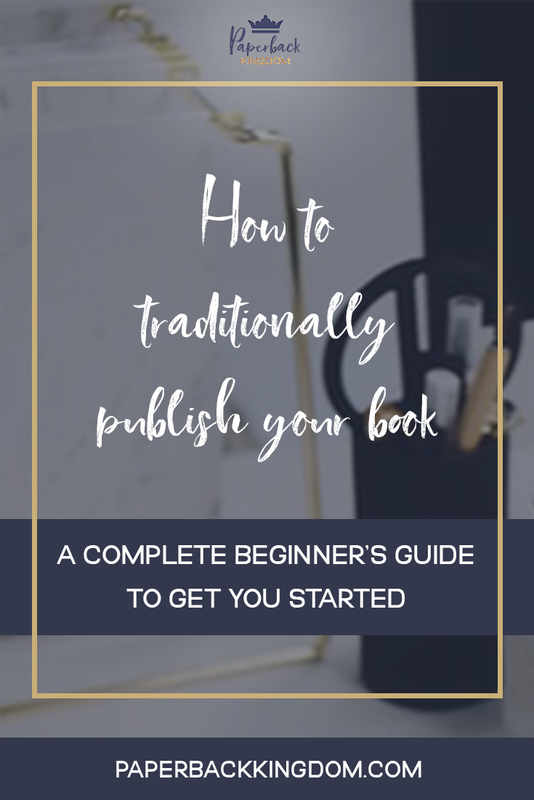 The next step in your publishing journey may possibly be the hardest, most frustrating, depressing and upsetting part of the process, but it’s also the most rewarding once you find a publisher willing to take on your work. Before we get into it, I want to encourage you have your manuscript proofread by an editor or beta readers first. Publishers won’t take on unedited work. Most importantly, you need to have faith in your work. Persevere, no matter what! There’s a lot of different things you’ll hear in the writing world about traditional publishing. Some people swear by it and look down on indie books as if they’re the spawn on the Earth (which, excuse me). Others will curse publishing companies for being too picky, too unfair, and not seeing the potential in brilliant works that get pitched to them. What books are already signed for publication in the next two years— if your work is too similar to another book they’ve got, they can’t sign you. The kind of books they’re focusing on publishing— don’t pitch fantasy to a company that focuses on contemporary romance. For a start, they don’t even have the right readership to sell your book to, and it doesn’t make you look all that great either. The risk factor— sadly, if you have a risky book (e.g. an aboriginal fantasy), it’s going to be harder to pitch. That’s not to say you shouldn’t try, but it would help if you can prove that there’s a readership for it first. As a writer, you have to be offering something that matches with their marketing plan. No matter how good your book is, they can only take on books that they know readers are going to want by the time it reaches the shelves. This is why it’s very important to read their submission guidelines and find out exactly what the company is after. Go through a bunch of books that are similar to yours, and make a list of publishing companies to contact from their publication info page (in the front). Once you have that list, go online and look up each company individually, and find their submission guidelines page. On that page, it will tell you the requirements you must meet to be able to submit an eligible book for consideration. For example, you may have to format it a certain way (e.g. 12 pt, Times New Roman). Or, you may need to submit the first three chapters before they request your full manuscript. Keep in mind that publishers should never ask you for money or compensation to publish your book– these are vanity publishers (AKA self-publishing), or just straight out scammers. Only ever submit to companies that work with royalty payments or advances. Always do your research before submission or signing a contract. Your query letter is your pitch to the publishing house (formally directed at the Acquisitions Editor) for your book. Generally, you would start off by introducing yourself briefly, then dive into your book pitch. Some people might start off by quoting the tagline of their book, to hook the editor’s attention. Follow up your introduction by providing a brief summary of the book and include anything they ask for, such as it’s word count, target audience, why you think it would sell well, which market it would sell best in (mention the genre) and any experience you may have as an author (hint: now’s the time to start listing all of your writing awards and those articles you wrote for the school newspaper). End your letter by thanking the editor for their time, and tell them you look forward to hearing back from them. They might not be able to get back to you if they aren’t interested in your work, but they typically state whether they will respond and the time period which you must wait before following up. Many publishing companies (such as Bloomsbury) will only accept solicited manuscripts— these are manuscripts that are represented by a literary agent. This will narrow down your submission choices immensely unless you can find an agent to take you on. Having an agent is never a bad thing– especially if you’re a first-time author who knows very little about rights, contracts, and all the stuff that an agent would handle for you. 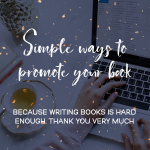 It’s their job to represent you and your manuscript, and find a publishing house for it from their personal network of contacts, and then negotiate the deals on your behalf. They will take a small percentage of your royalty to compensate for their services. Agents can be found through Twitter and also through Publishers Marketplace. They operate in a similar fashion to publishers themselves– they have submission guidelines either on their personal blogs or through their literary house websites (agent Twitter profiles are a great place to find direct links to these). They will only represent books that they have the network or personal taste to sell, so it’s important to pitch an agent who is the right fit for your book. Seeing a pattern here? Yes, it might seem obvious by now, but I will reiterate that you need to read the submission guidelines no matter who you’re pitching. An agent I follow typically receives up to 200 submissions each month, and you’d be surprised how many of those pitches don’t follow her guidelines. Doing this is a waste of time for both you, her, and all the other authors waiting on her. Plus, people in the industry talk, so you don’t want to be that person. This is the exact same deal as above– just addressed to the agent, not the editor. It’s pretty standard stuff. That’s all there is to it. Now, just sit back, cross your fingers, and keep trying if you get rejected. Finding your perfect publisher is like finding a needle in a haystack, but look how many authors found that needle! There’s no reason why you can’t find it too.